John Harrison QC is both a regulatory law and criminal law specialist known for his capability to handle complex cases with a clear, pragmatic approach. John is a highly-regarded barrister, earning his reputation through working on cases involving substantial factual and legal complexity. 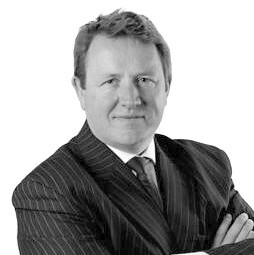 Called to the bar in 1994, John has developed a strong practice, spanning over twenty years, encompassing all aspects of serious crime; but is well noted for his expertise in complex fraud and regulatory work. John’s background in civil litigation and commercial law makes him particularly well placed in assisting clients in a wide range of litigation areas, including but not limited to health and safety, environmental, and professional disciplinary. Whilst predominantly based in the North of England, John maintains a practice with national scope. John is the NE Circuit representative on the Bar Council International Law Working Group and a member of the Attorney General’s list of prosecution advocates; although, it should be made aware that the vast majority of his work is as defence counsel. "A very good advocate, who has an excellent manner when dealing with victims and witnesses." "Particularly experienced in white-collar fraud." "A solid civil litigation background." "Highlighted for his ability to get to the issues." "Espies everything, misses nothing; a genuine all-rounder." "Deals with professional disciplinary proceedings, notably in healthcare." "A popular choice for regulatory breach."